I don’t play many games for prolonged periods of time, setting aside the kind of beasts I discussed in my previous award post. Such games are traditionally multiplayer beasts, be they Counterstrike or Call of Duty, MOBA or MMO, or esports favourites like Starcraft. It’s usually other people, utilising well-balanced game systems, that provide that longevity. The birth of the smartphone has been a gamechanger here, with free to play games building themselves around a model which demands substantial player retention. And, look, there’s a lot to critique in free to play games, easily the most metric-driven videogames we have ever seen, often the most crassly exploitative, and not uncommonly hugely derivative. But there are gems out there nonetheless. Why, didn’t AJ himself just recommend Gems of War? 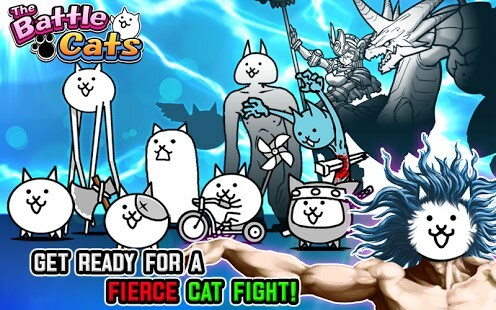 …The Battle Cats, from Japanese game company Ponos! I started playing this sometime in 2014, not long after it was localised for English-speaking markets. I wrote about it briefly at the beginning of the year, since when I’ve spent… considerably more time with it. 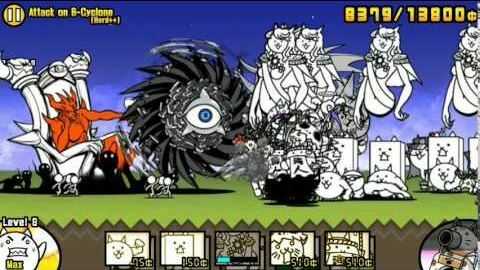 The Battle Cats functions a little like lane-based strategy games, or a MOBA if your job was just to spawn creeps, except there’s only one lane. Its strategy essentially comes down to bringing in the right units – you can select up to ten for a team – for the job in hand, and within a match balancing building your economy with keeping enough appropriate units on the field to push back against your AI opponent’s forces. This is pretty damn simple, and the difficulty curve of The Battle Cats is a gentle one – belying just how aggressively designed its lategame content is. Early on, for example, the game introduces red enemies. These are generally tougher and more dangerous than standard enemies, and may possess some special skills. Fortunately, you have units available to you that have anti-red abilities, be that more damage or some kind of debuff. And once you’ve managed to best the nastiest red units thrown at you, the game introduces the tougher, faster black enemies. And then the highly resistant metal enemies, against whom you need units that have a chance to execute critical hits. Then there are the very fast and tough angel enemies, and most recently the aliens – who came with whole new gameplay chapters to play through – who are the toughest, most dangerous enemies, and which often come with dangerous debuffs and abilities of their own. I also forgot to mention floating enemies, who tend to be quite damaging; red, black and alien enemies can also be classed as floating. Still with me? The metagame around these discrete little tactical slices involves upgrading your units with a global pool of XP, evolving them with new abilities as they hit certain thresholds (fortunately there’s no additional currencies to gate your evolutionary progress – it’s all about XP), and rolling on the gacha system to unlock new units. The gacha system is a lot of fun, and the feeling you experience when a new Super Rare or Uber Super Rare appears is exactly the sort of dopamine rush that, er, pretty much every free to play developer is trying to nail with gacha systems right now. Building up a range of different teams for scenarios requires long-term investment so that you can unlock useful new units, and the ‘core loop’ – those tactical battles – still feels fun and compelling long after the match-3 based Puzzle & Dragons, the – ha ha ha – ‘strategy’ of Clash of Clans or ‘role-playing’ of Summoners War has fallen by the wayside. 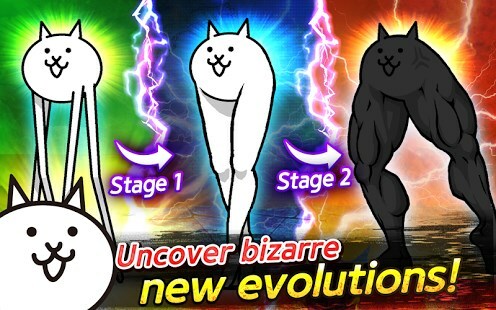 I have spent a little money on The Battle Cats now – mostly topping up gacha currency during a special event – and I’m happy to have done so, although Ponos’ approach to monetisation is emphatically not generous, and I’d recommend not paying anything until you’re really sure you’re invested in the game itself. Oh, and I should note that I’ve got friends playing this who are further in than I am and have paid nothing, so you know – that’s an option too. I’m not familiar with the term “gacha system” and I feel I should know about this. Can you elaborate? Sure! Though I’m sure you’ll already be sort-of familiar with it. It’s basically Japanese gashapon machines, but translated through East Asian free to play mobile game design. Speaking from experience, it’s very compelling as a mechanic in a free to play game where building a collection is important and fun. I first encountered it in Puzzle & Dragons, then later in other Japanese games, but it’s increasingly been appearing in Western F2P games as well (I think its implementation in Fallout Shelter is brilliant, f’rex). Gacha systems can be grossly exploitative if players get too hooked in (e.g. trying to ‘complete a set’ where the compounded %age chance of receiving all wanted items is very low, which can result in players throwing obscene amounts of money into gacha), and there’s been some backlash against this aspect of them.